Were it not for President Barack Obama’s “no lobbyists” policy, Mark Gitenstein might well have taken over the Department of Justice’s Office of Legal Policy. But Gitenstein’s prior lobbying work on behalf of business clients, including the U.S. Chamber of Commerce, killed his chances of joining Justice. So, instead, the longtime Washington lawyer, Democratic contributor, and former aide to Vice President Joseph Biden has had to settle for being the first Romanian-American ambassador to Romania. He was sworn in on August 3, 2009. Gitenstein’s great grandparents immigrated to America in the 1890s. Gitenstein himself received his Bachelor of Arts from Duke University and a J.D. from Georgetown University. He went to work as a staffer for the U.S. Senate in the early 1970s, beginning what became a 17-year career on Capitol Hill. Gitenstein served as a counsel on the Senate Intelligence Committee when it investigated the FBI’s illegal surveillance and intimidation of Dr. Martin Luther King, Jr., and later he was chief counsel and staff director of the Senate Judiciary Committee’s subcommittee on criminal laws and procedures. He eventually rose to chief counsel for the judiciary committee, and worked in the office of Senator Joseph Biden, who chaired the committee during the volatile confirmation hearings of Robert Bork, who was nominated by President Ronald Reagan to serve on the U.S. Supreme Court. Gitenstein was Biden’s chief adviser during the hearings, which resulted in Bork’s rejection. In 1992, he wrote a book, Matters of Principle : An Insider's Account of America's Rejection of Robert Bork's Nomination to the Supreme Court, about his experience managing the Judiciary Committee staff during the Bork confirmation hearings. In 1989, Gitenstein left the Senate to become executive director of The Foundation for Change Inc., and he joined the Washington office of the multi-national firm Mayer Brown LLP that same year. He later became a partner and represented some of the firm’s biggest business clients, including the U.S. Chamber of Commerce, Lockheed Martin, Boeing Co., United Technologies, Bayer Corp., AT&T and Merrill Lynch. From 1999 to 2001, Gitenstein reportedly lobbied on behalf of Boeing, Lockheed Martin, General Dynamics and several other defense contractors to get Congress to amend the False Claims Act, a law first passed during President Abraham Lincoln’s administration that provides rewards to public employees for information exposing fraud by government contractors. The Justice Deaprtment stated that between 1986 and 2007 the Act was responsible for recovering $20 billion for fraud. Gitenstein worked to weaken the Act. According to Public Citizen, Gitenstein and a dozen other Mayer Brown employees were paid $1.1 million in 2002 to lobby for the U.S. Chamber of Commerce on issues including tort reform, class actions, preemption and federalism, and campaign finance reform. 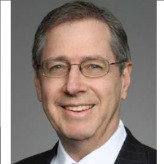 While still at Mayer Brown, he also served as counsel to Chamber of Commerce’s Institute for Legal Reform, which successfully pushed to force almost all class action suits into the federal court system, and lobbied to add more business-friendly judges to state courts. Earlier this decade he became a nonresident senior fellow in governance studies specializing in issues related to national security and civil liberties at the Brookings Institution. In November 2007 Gitenstein co-authored a position paper on detaining suspected terrorists: “A Legal Framework for Detaining Terrorists: Enact a Law to End the Clash over Rights” . Following the November 2008 election, Gitenstein served as a key adviser to Biden during the transition. Shortly after Obama took office, Gitenstein was rumored to be the choice for heading the Office of Legal Policy. But opposition from some liberal Democrats and the public advocacy group, Public Citizen, over his business lobbying forced the White House to reconsider the nomination. Gitenstein reportedly has given almost $130,000 in campaign contributions since 1989, virtually all of it to Democrats.